Distribution of Health-Related Physical Fitness in Texas Youth: A Demographic and Geographic Analysis. 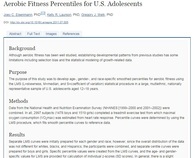 This study examined demographic and geographic variability in aggregated school-level data on the percentage of students achieving the FITNESSGRAM® Healthy Fitness ZonesTM (HFZ). 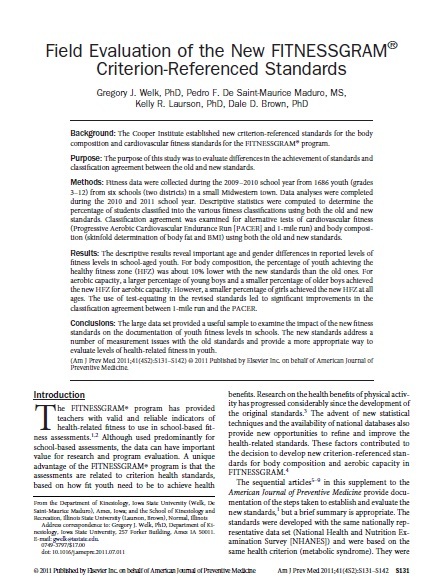 The results revealed age-related differences in the percentage of youth who achieved the HFZ standard for cardiovascular fitness (elementary school: 70%; middle school: 46%; high school: 34%). 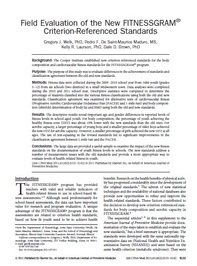 School-level attainment of fitness was consistently higher in schools categorized as low diversity and high socioeconomic status. Clear spatial patterns in fitness achievement were also evident when data were analyzed at the region and county level using geodemographic information system software. 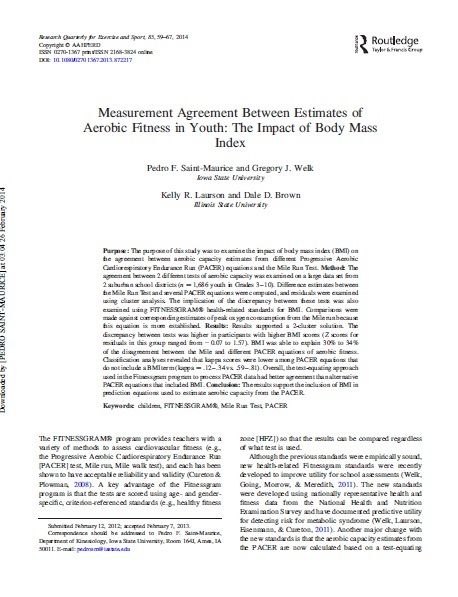 The Association of Health-Related Fitness With Indicators of Academic Performance in Texas Schools This study examined the associations between indicators of health-related physical fitness (cardiovascular fitness and body mass index) and academic performance (T﻿exas Assessment of Knowledge and Skills). 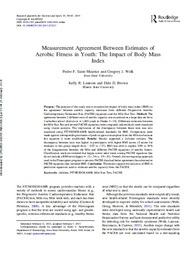 Mixed-model regression analyses revealed signific﻿ant positive associations between fitness and both academic achievement and school attendance. Significant negative associations were observed with school delinquency. This study is unique in the scope (state level data) and the fact that we systematically controlled for possible confounding variables. 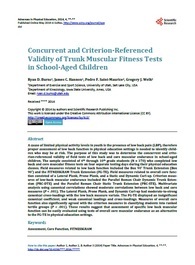 This study examined the concurrent and criterion-referenced validity of field tests of low back and core muscular endurance in school-aged children. 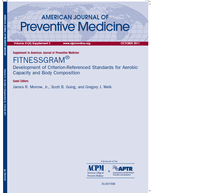 The results suggested that assessment of specific low back muscular function can be easily evaluated using tests of overall core muscular endurance as an alternative to the FG-TE in physical education settings.